Estate Sales * Estate Appraisals & Inventory * Estate Liquidations – Presented by A Pleasant Cove, Inc. Presented by A Pleasant Cove, Inc. Welcome to A Pleasant Cove, Inc. Pleasant Cove Antiques was founded by Jim Antone and Donna Poor in 1993. We buy and sell antiques and collectibles. We also do appraisals, conduct auctions (online and on-site), estate sales, and sell items on consignment. 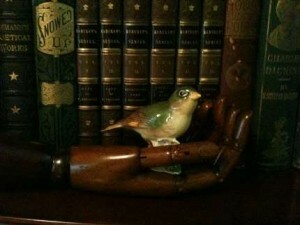 Jim Antone possesses a wealth of experience in the antiques business. He is a third-generation dealer, having managed his family’s long-standing business, Bayard Antique Village, for many years. He has more than 35 years of experience appraising fine antiques and attends antiques shows all over the country. He is also an art conservator and conducts frequent lectures on antiques and related topics. Donna Poor is a licensed Realtor with NuView Realty, Inc. NuView Realty, Inc. is a fast growing firm that specializes in residential and commercial real estate sales and leasing. They also handle Business Sales and Business Brokerage. Instead of a traditional open house, Donna combines the first day of your estate sale with the introduction of your fresh-to-the-market home! For a personal consultation and a comparative market analysis of your property, please contact Donna @ 904-923-0120. Copyright © 2019 Pleasant Cove Antiques. All rights reserved.